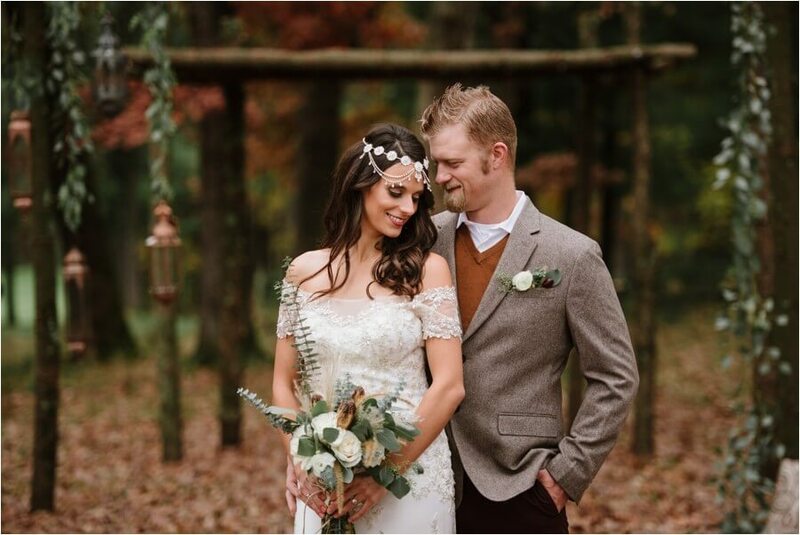 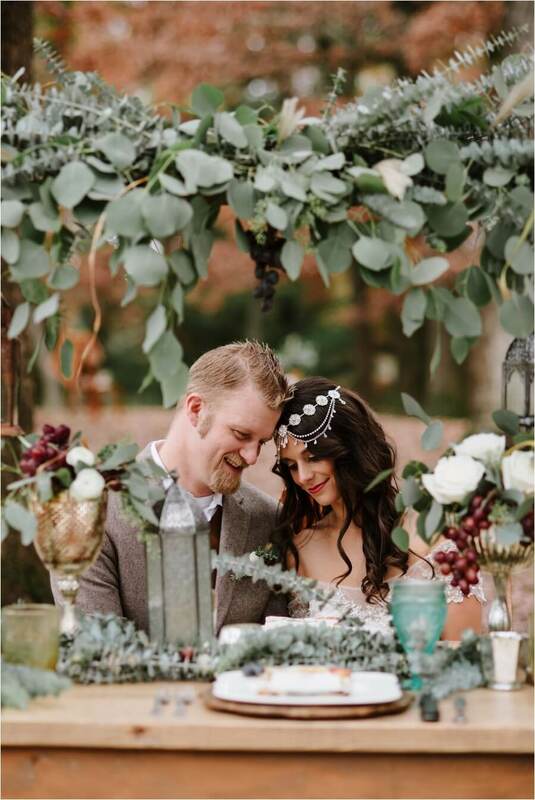 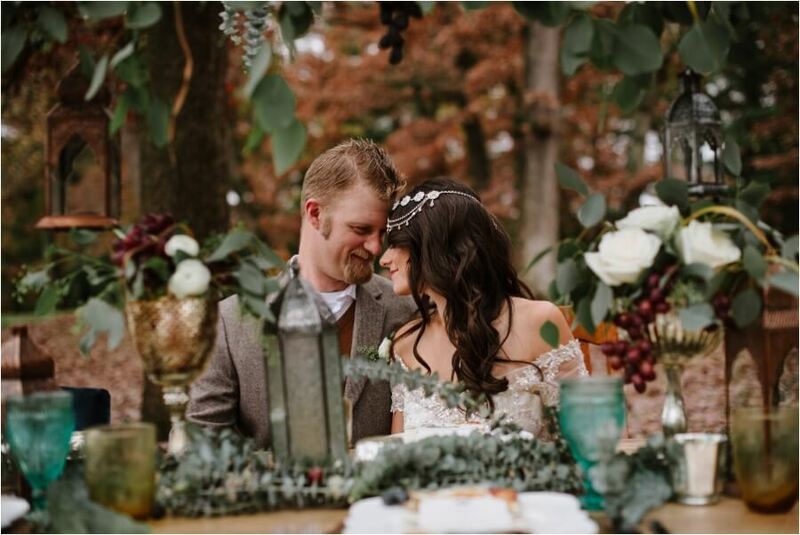 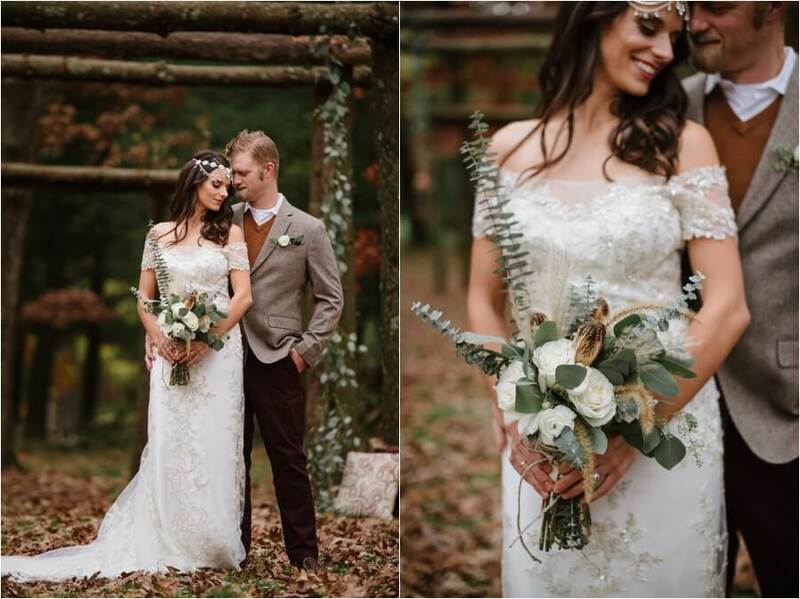 My first styled shoot with an amazing group of talented local vendors was just the thing to close out the busy fall season and left me feeling so inspired, thankful and anxious to start shooting a little more for myself and how important it is to do personal projects and let my inner creative soar. 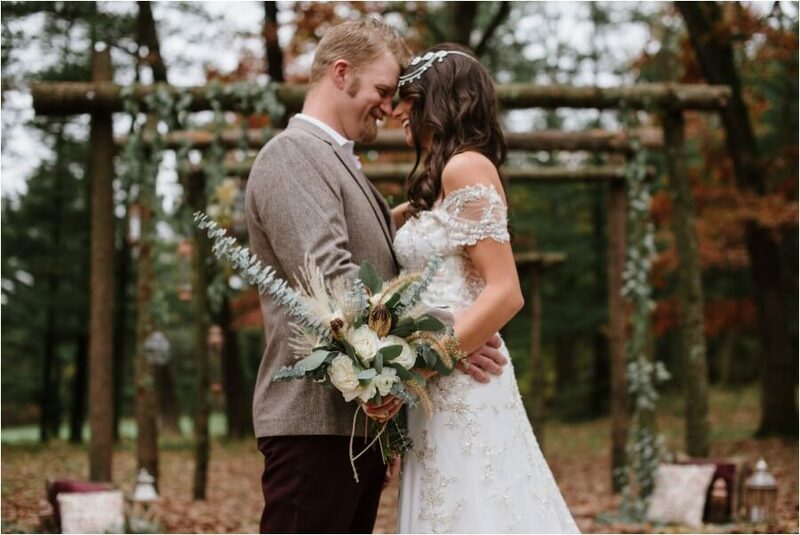 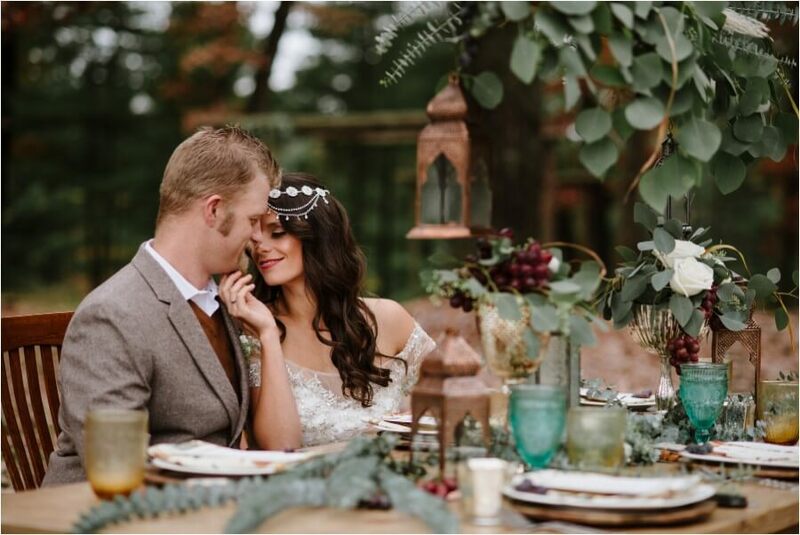 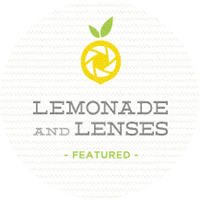 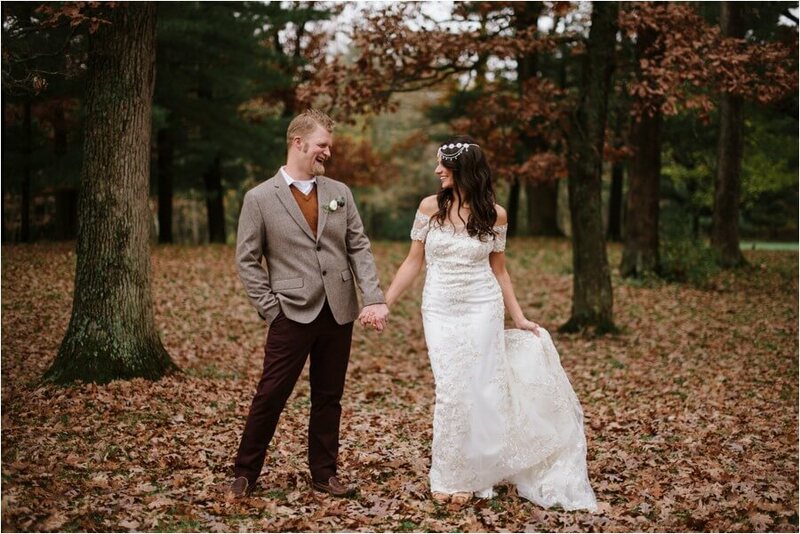 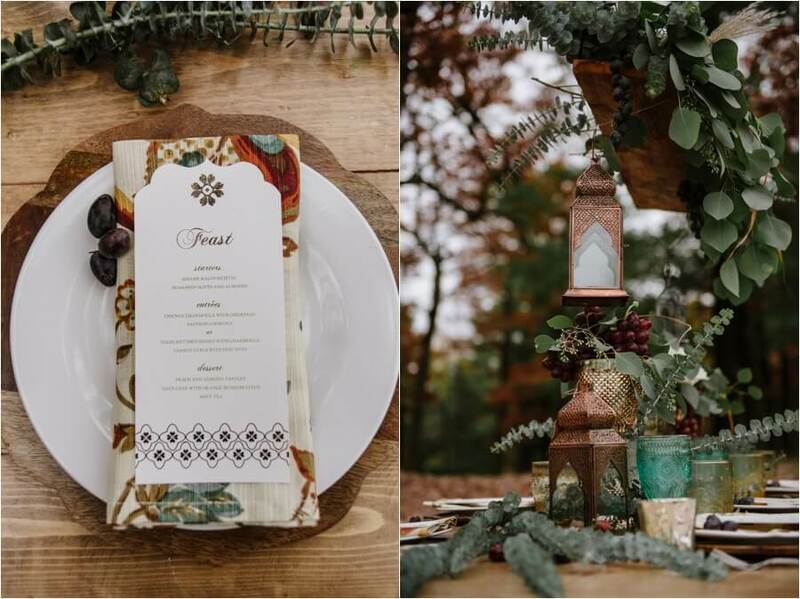 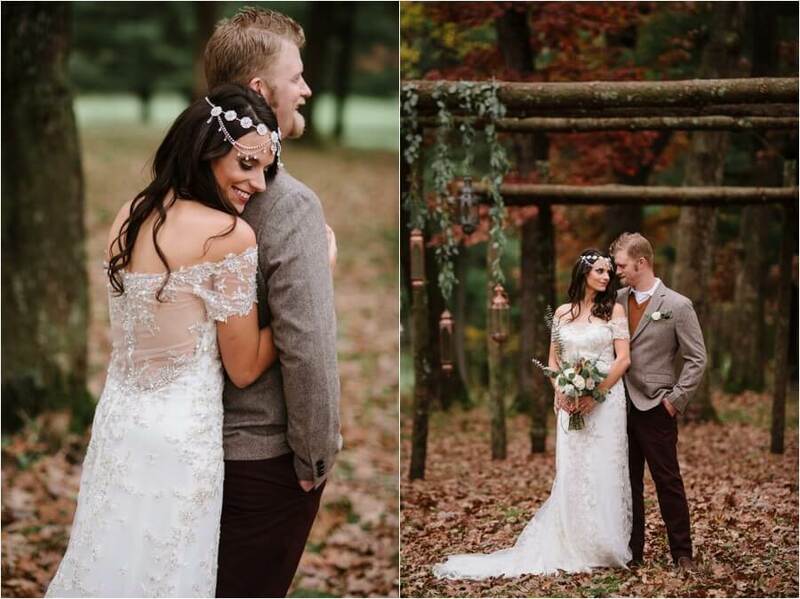 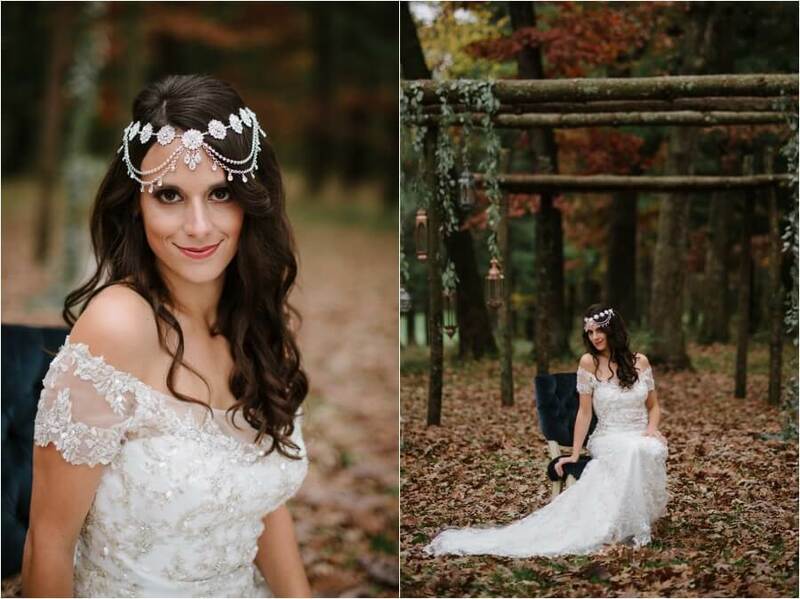 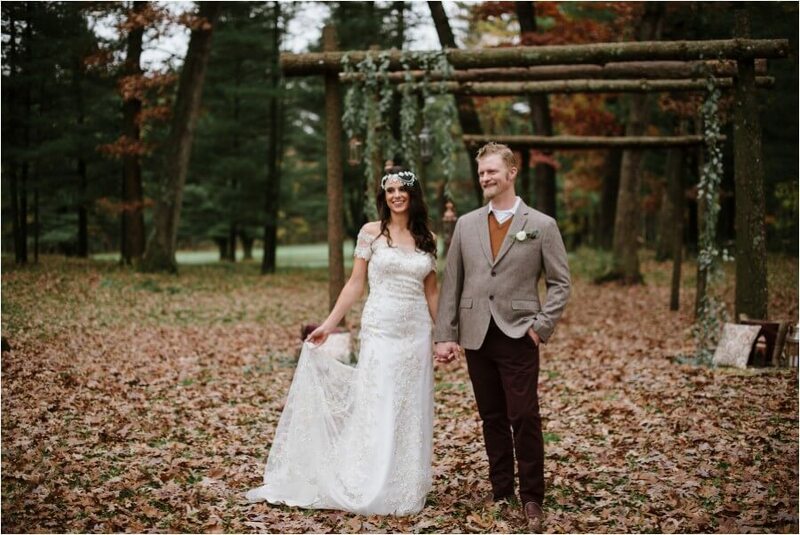 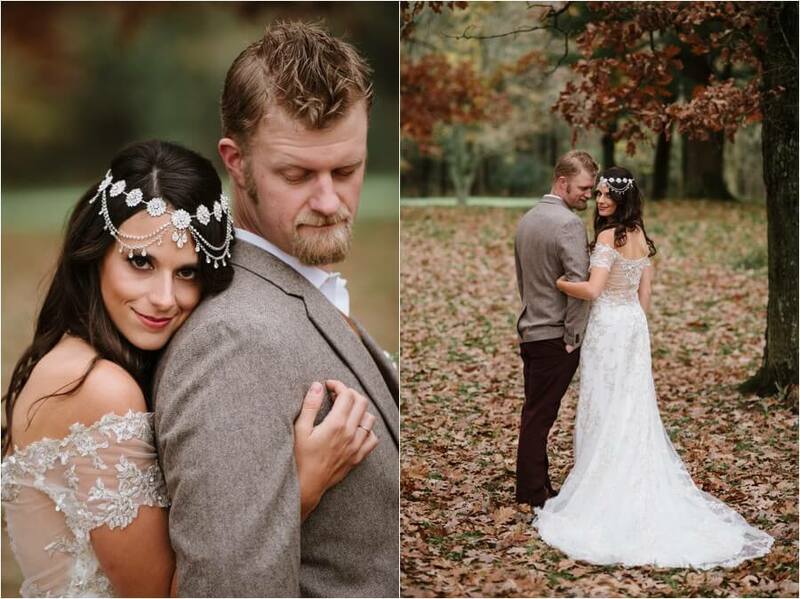 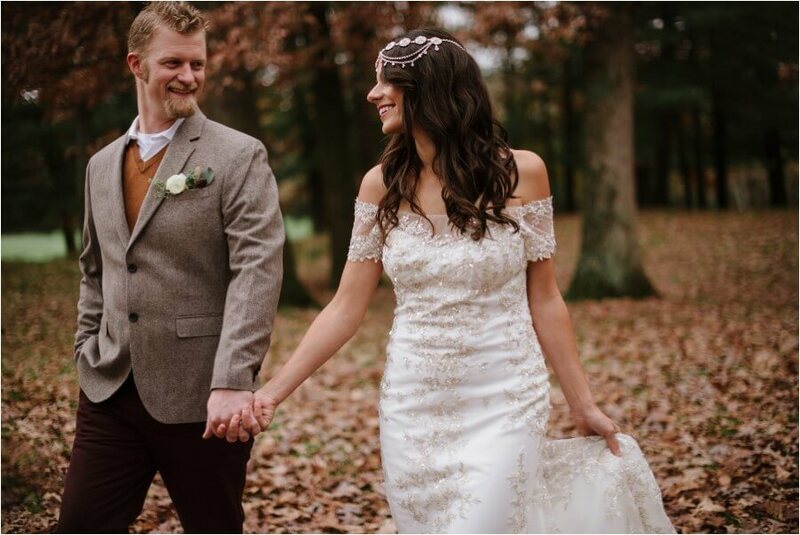 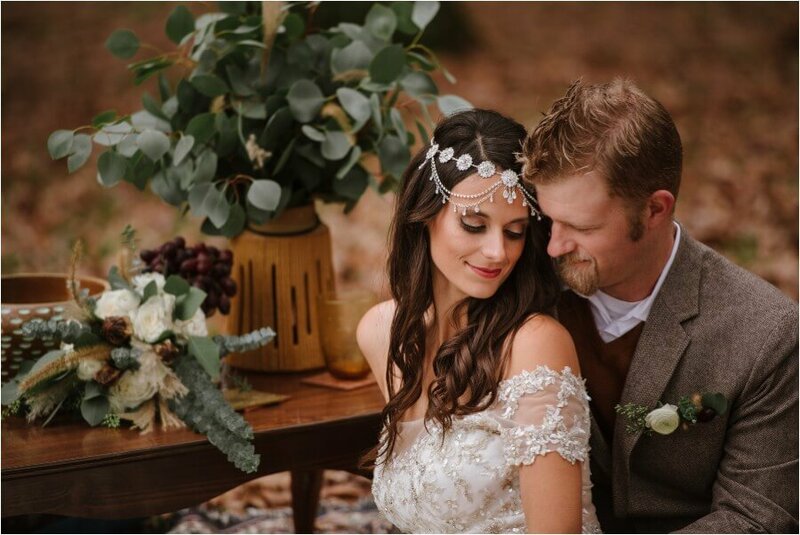 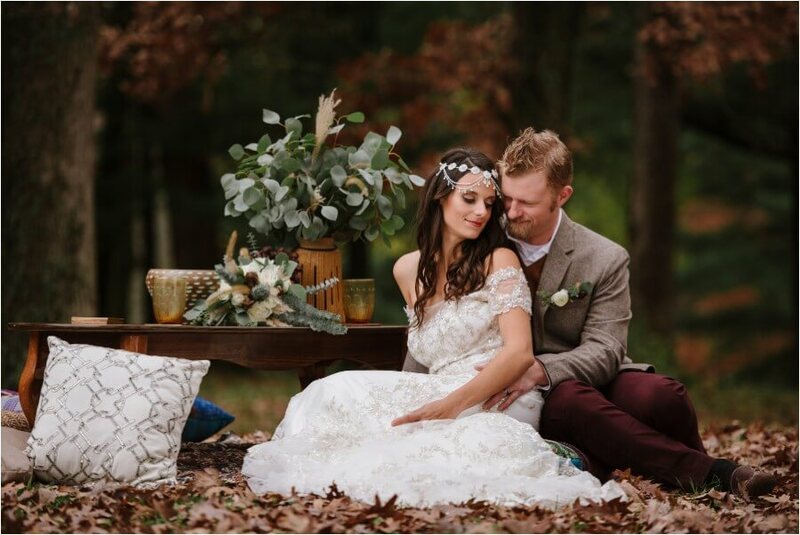 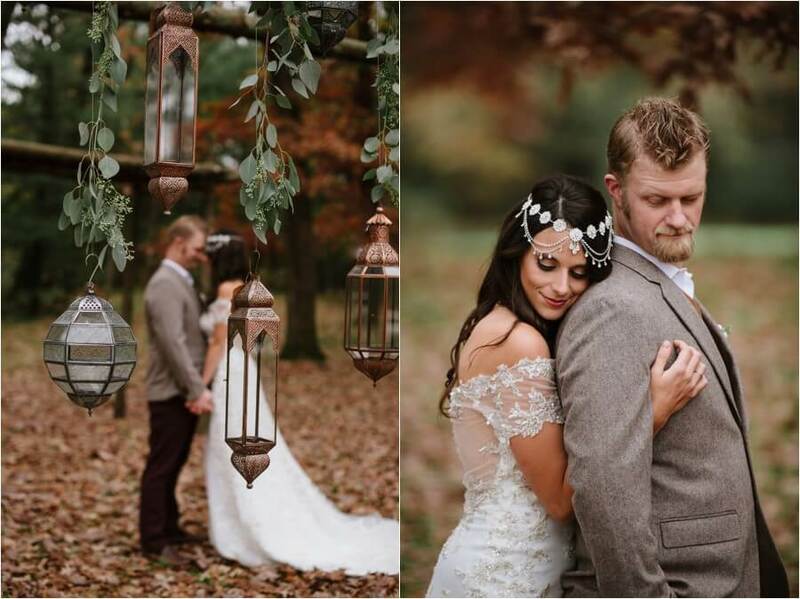 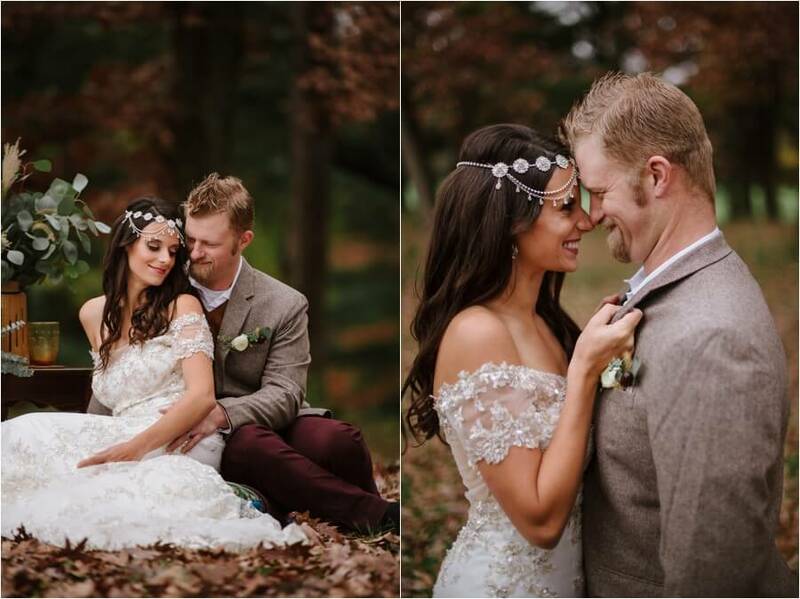 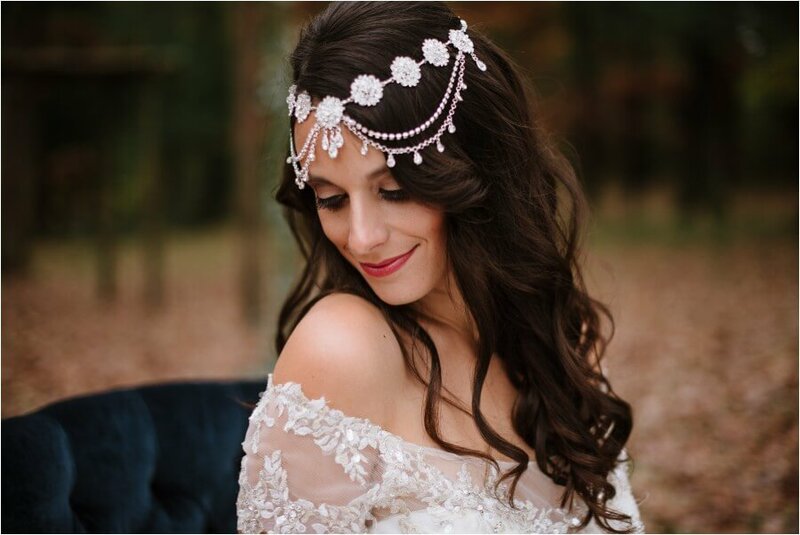 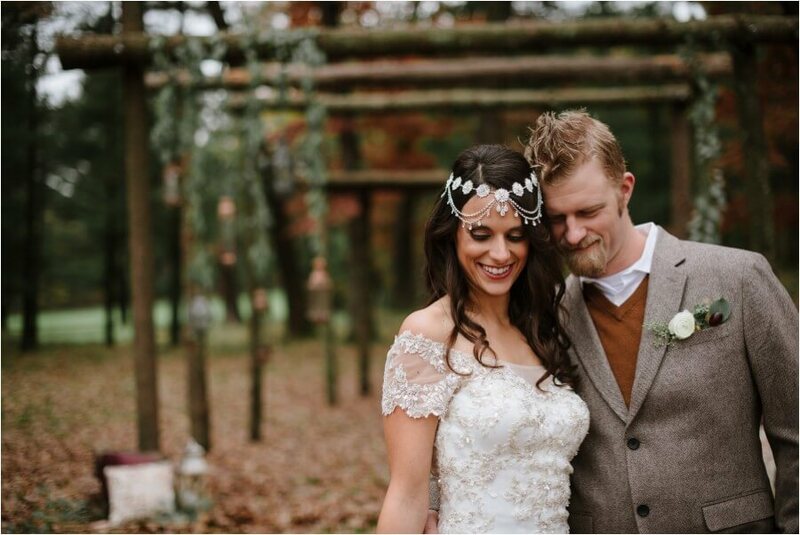 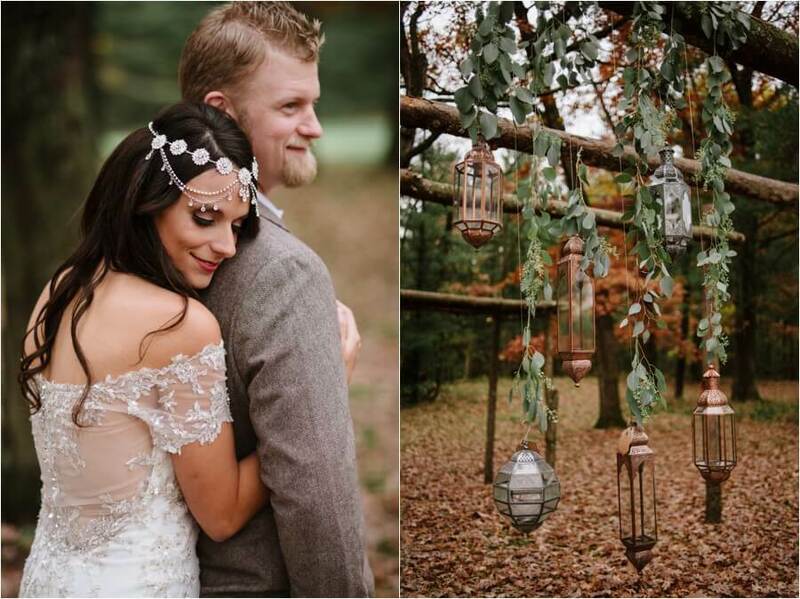 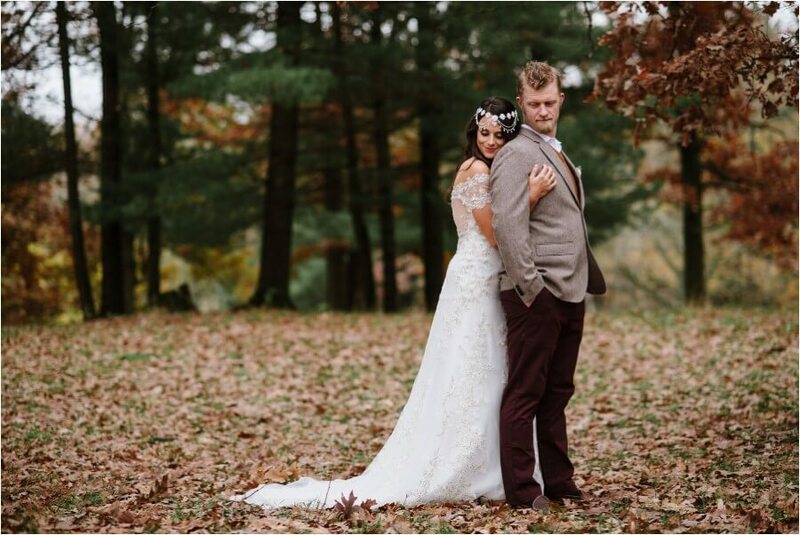 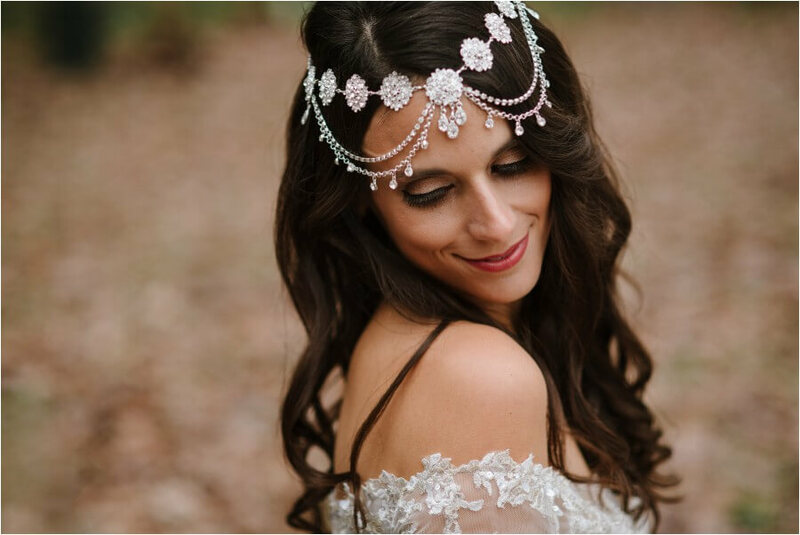 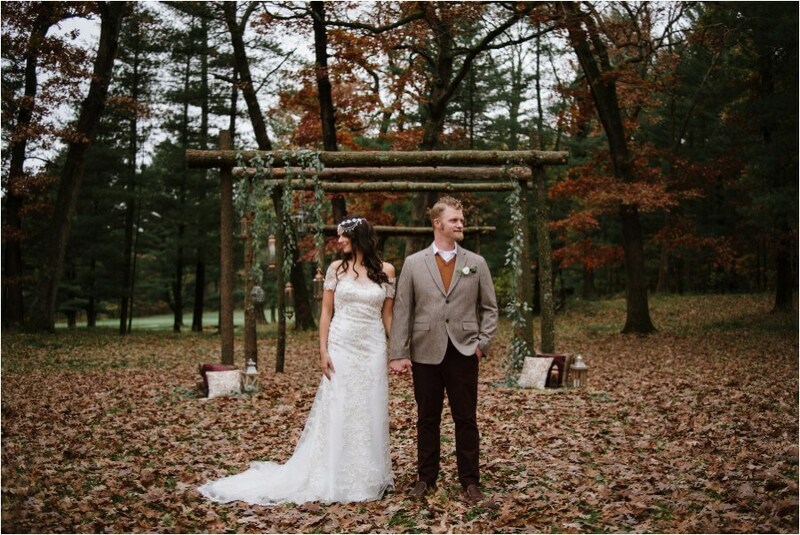 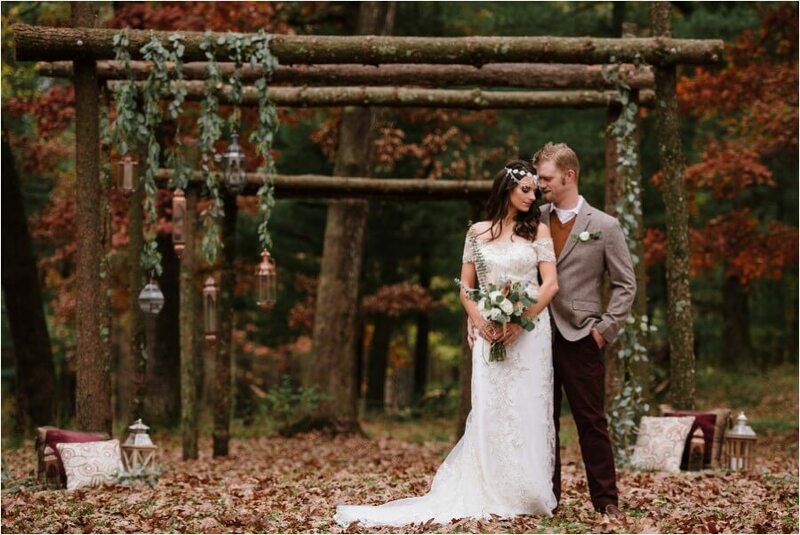 Teaming up with the amazing Fiorella of Neira Event Group and Mikayla with Chula Vista Resort – we pondered on what the perfect Autumn shoot would entail. 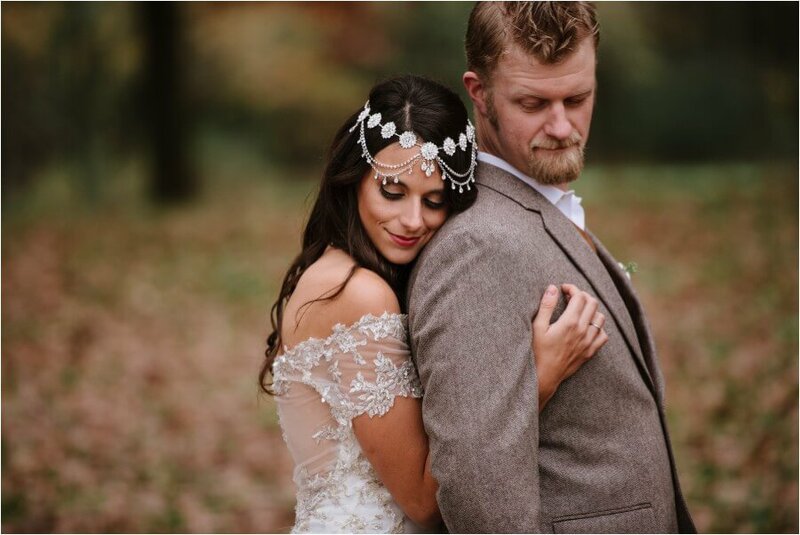 It was such a great day and having that butterfly feeling in my tummy when I got back to my studio and couldn’t wait to download and start editing the images was such a great feeling. 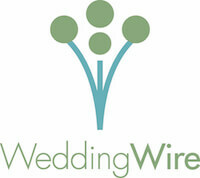 We set up in the Chula Vista Fairway Grove with beautiful huge Oak trees surrounding us. 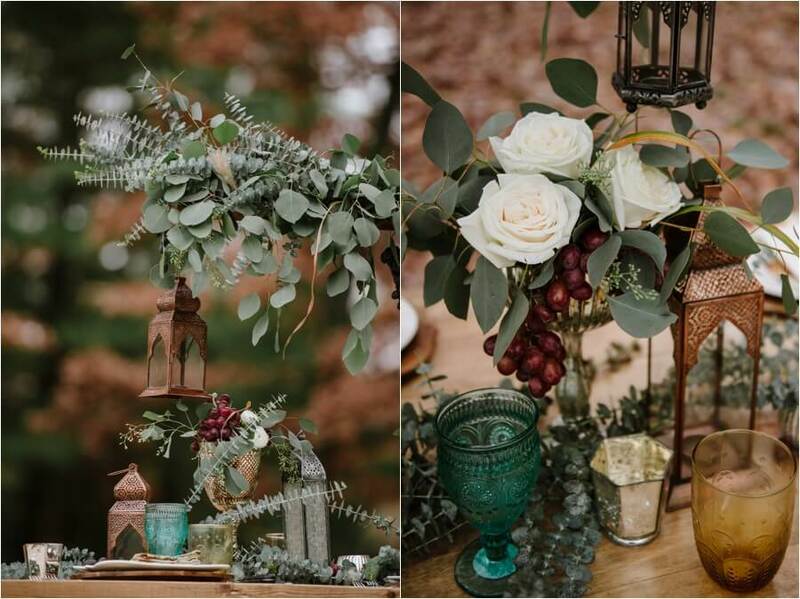 The overcast skies highlighted the rich autumn tones and Moroccan lanterns, shapes and patterns mixed well with the fallen leaves. 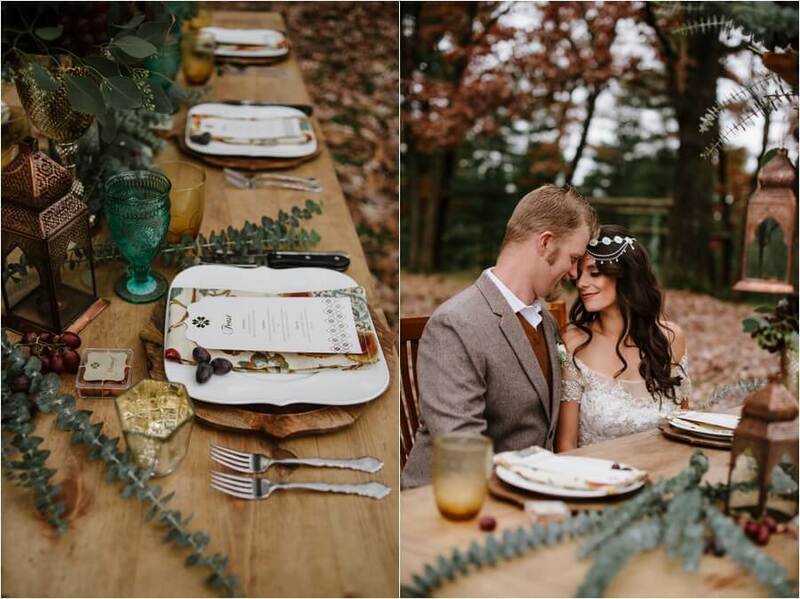 The look was simple, warm, elegant and a bit seductive. 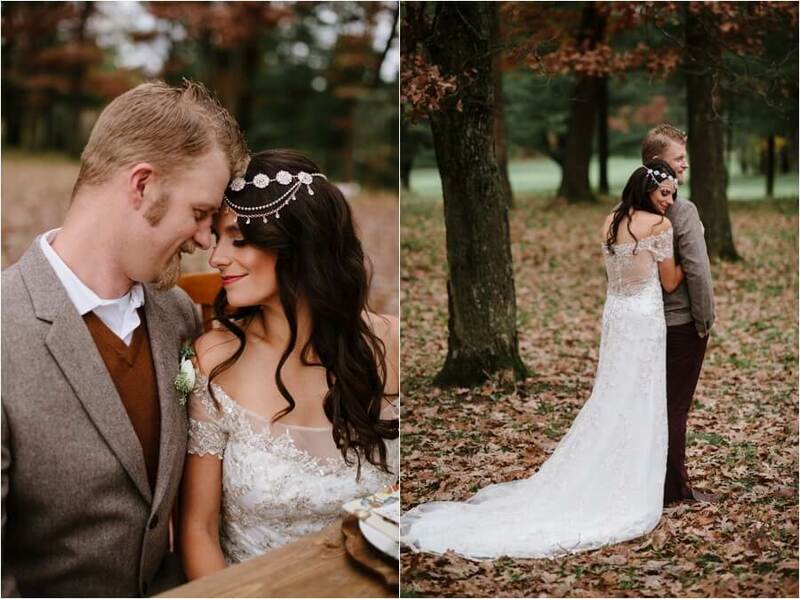 Our gorgeous models are great friends of mine and couldn’t not have been more perfect. 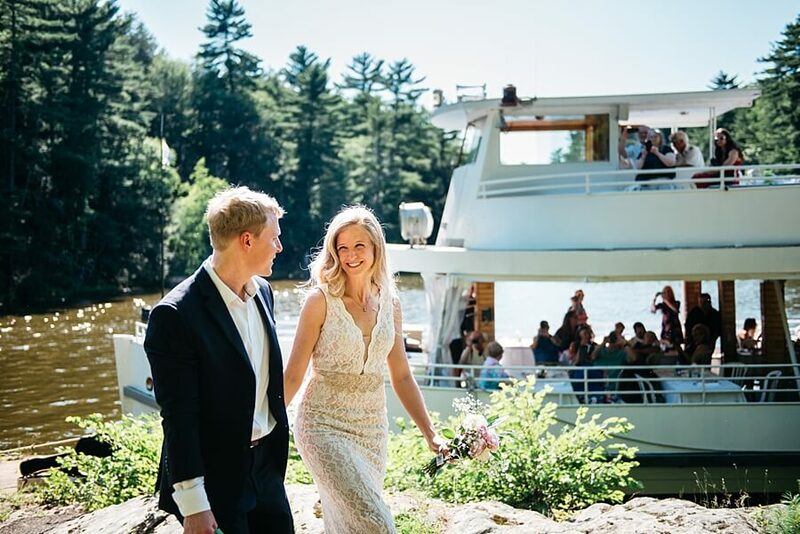 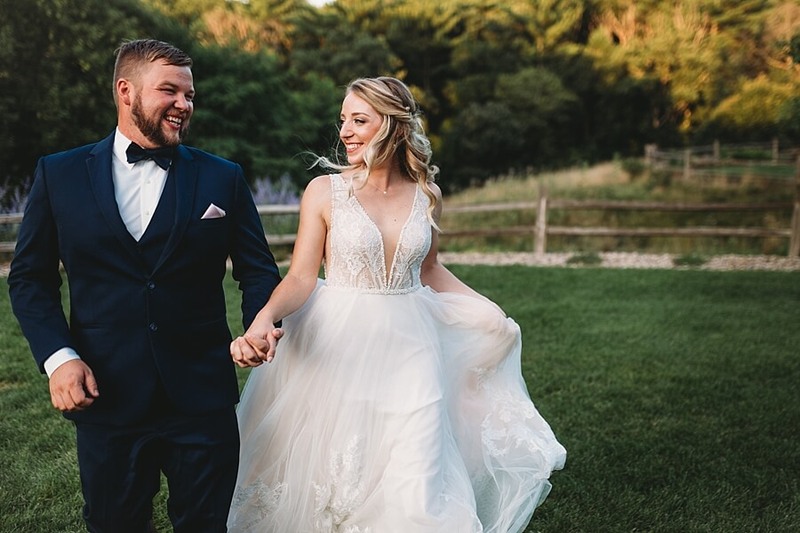 Jamie wore an off the shoulder Maggie Soterro gown from Brides n’ Bells that features a low back and intricate details common in the Moroccan tradition. 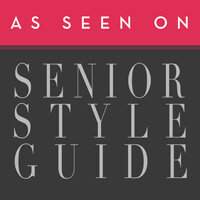 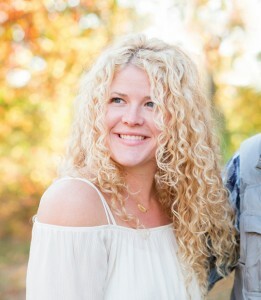 A big thank you to Alissa Whittaker of Beta Blue Make-up and Kimberly Nelson who styled her hair. 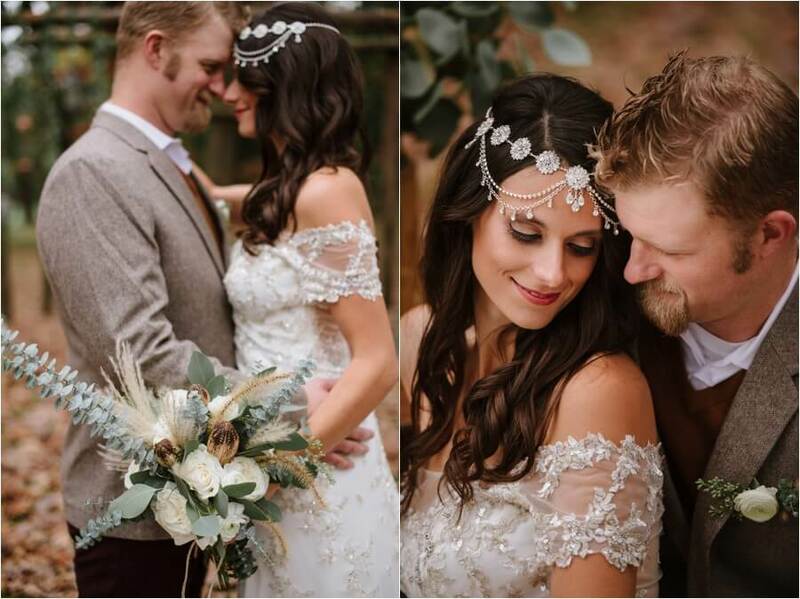 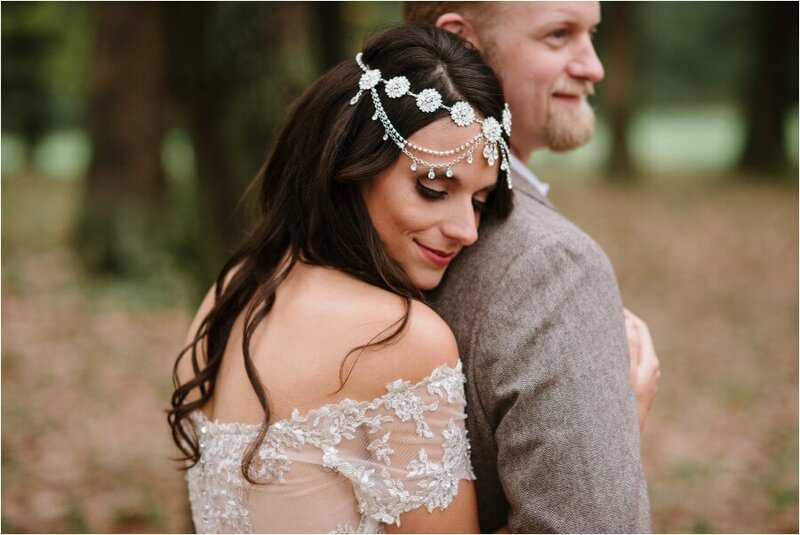 One of my favorite pieces of the whole day may have been the beautiful headpiece by Symphony Bridal from Brides n’ Bells. 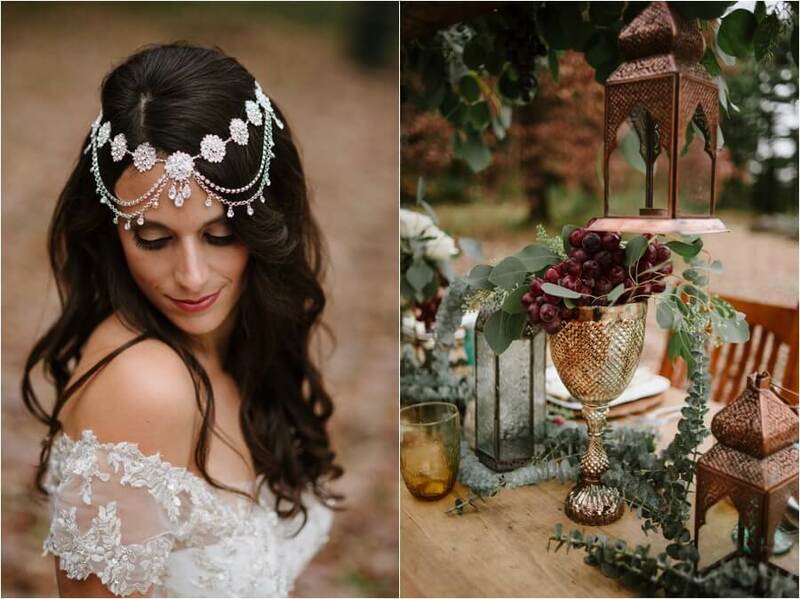 It pulled everything together and Jamie wore it like a beautiful, exotic Moroccan princess!! 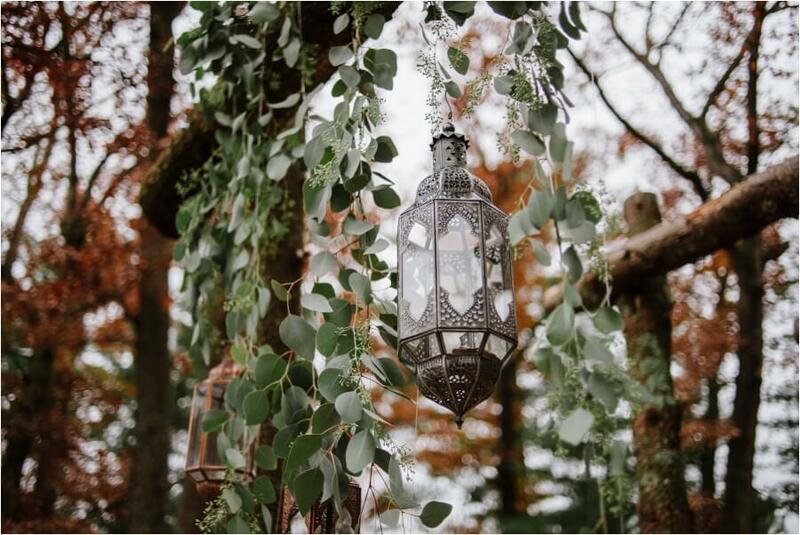 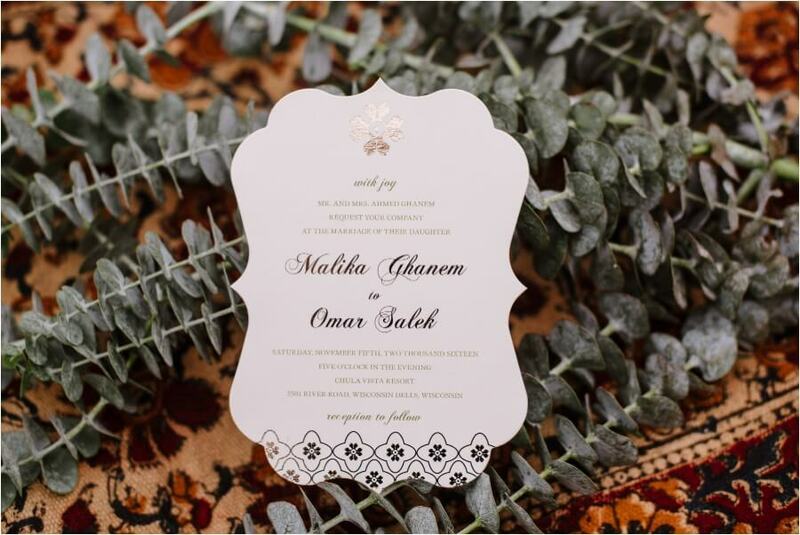 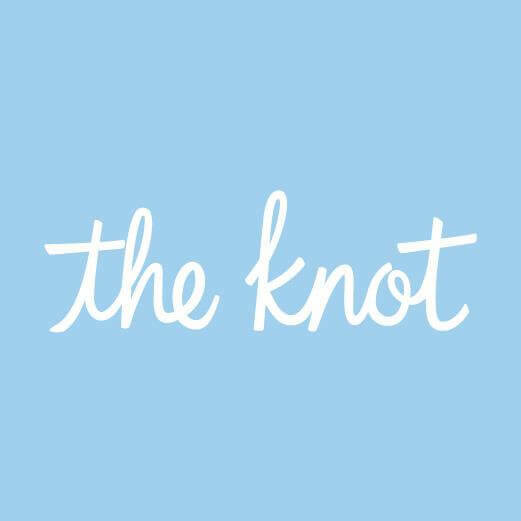 Existing symmetrical wedding arches were dressed with eucalyptus, lanterns, rugs and pillows. 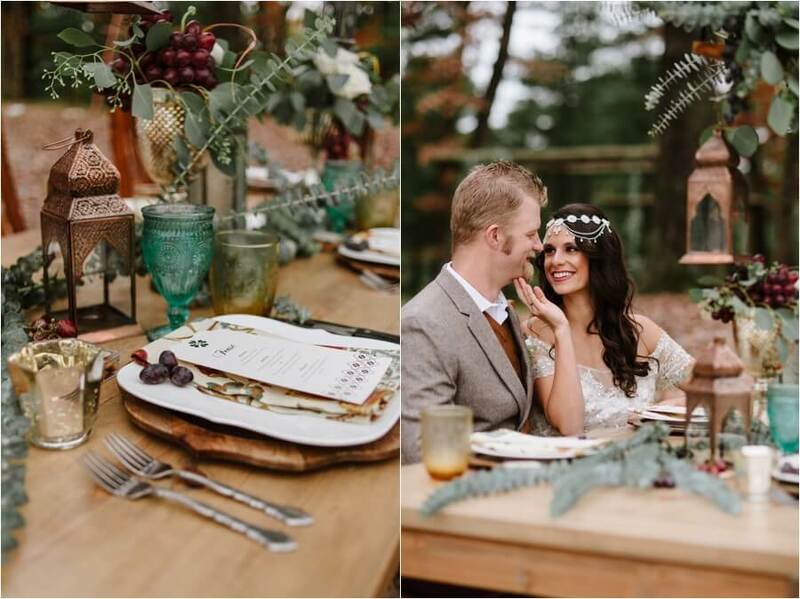 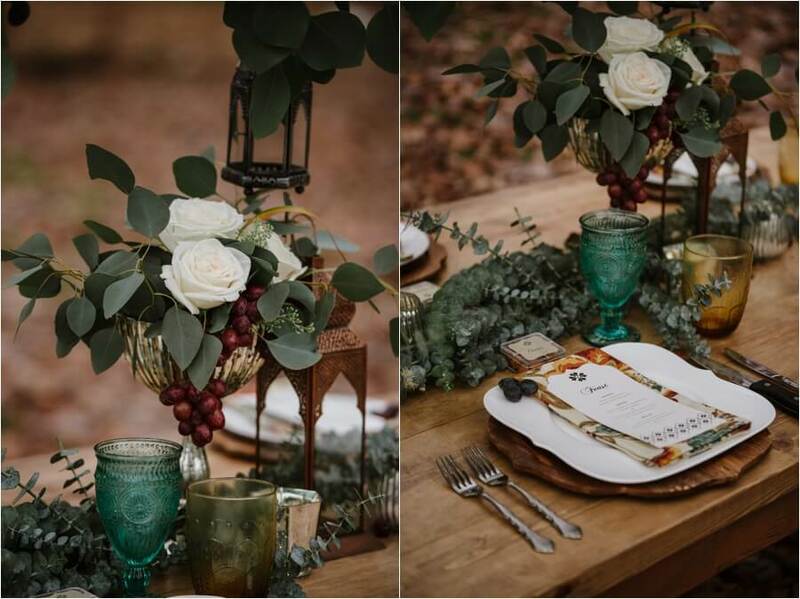 The tablescape featured a hanging wood plank, with lanterns, greenery and grapes. 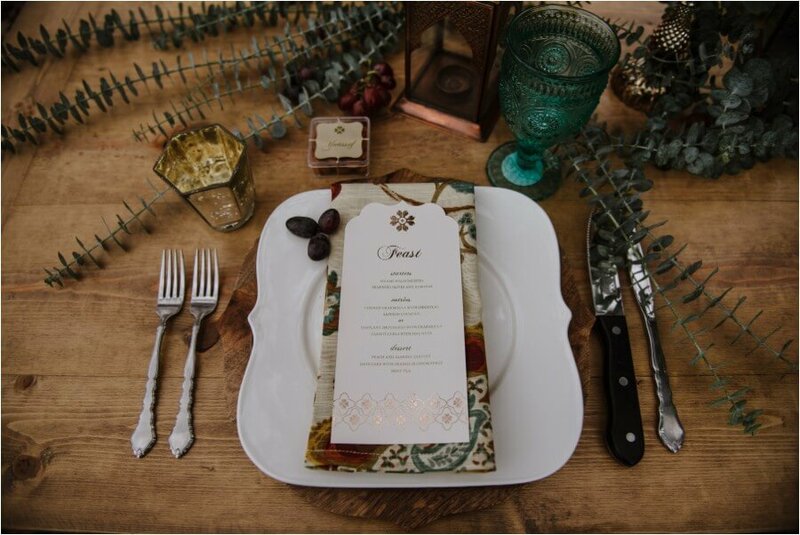 Sugar Pear Designs designed the invitations and place cards. 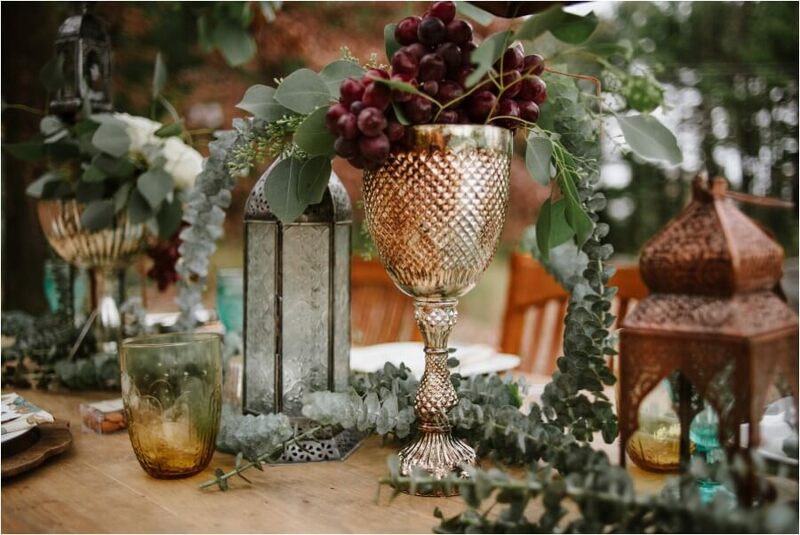 Grapes were added to the centerpieces as conversation starter and who doesn’t like when things are edible? 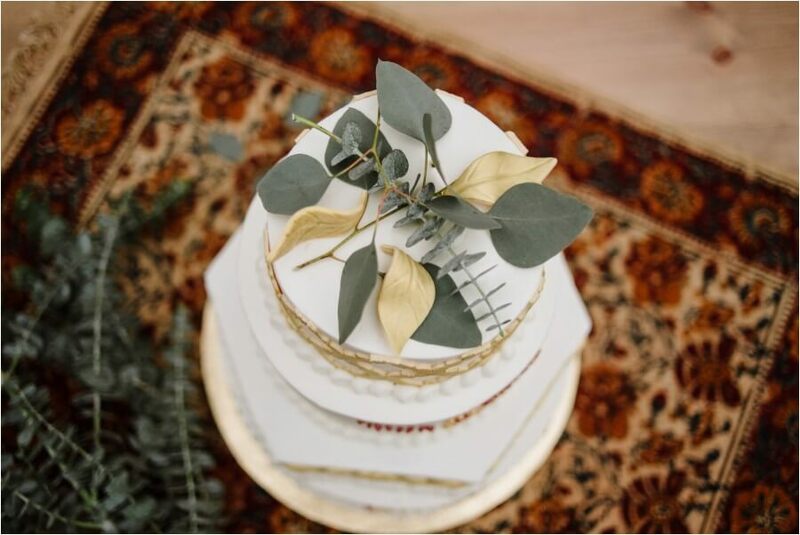 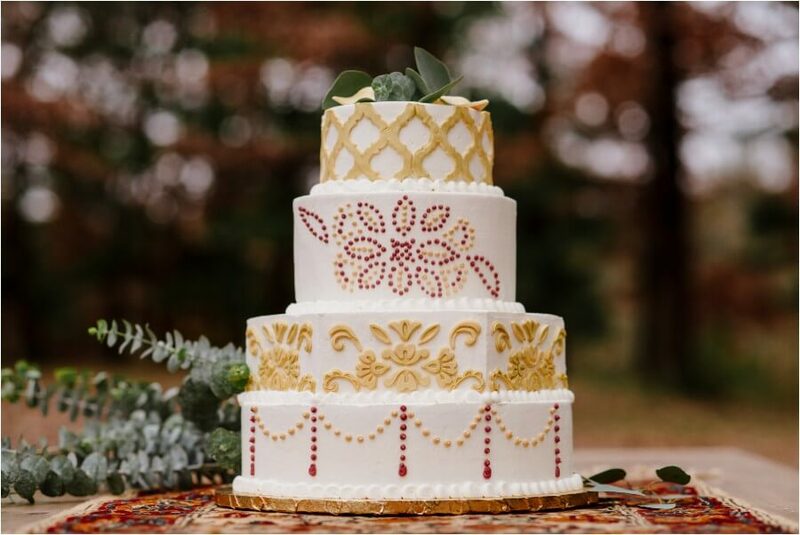 The delicious cake (we can vouch for taste, we ate it) done by Taylor Cakes tied the loose ends with more Moroccan shapes done in fondant and a shimmery gold. 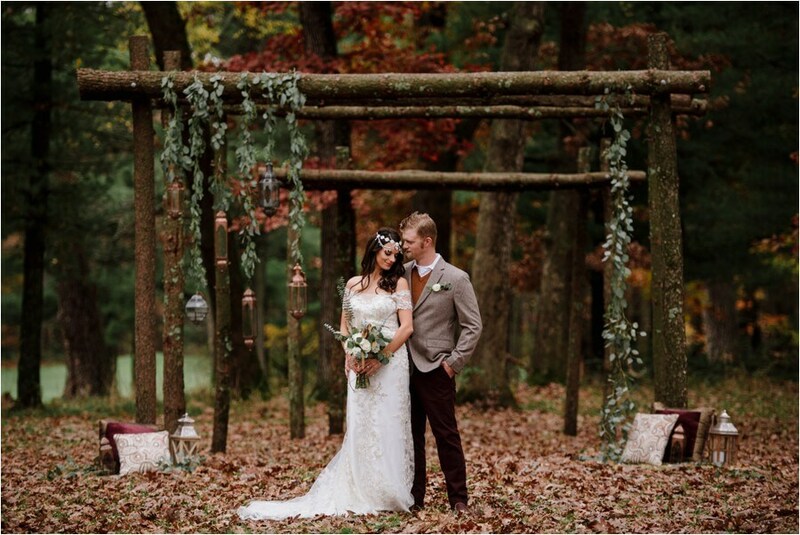 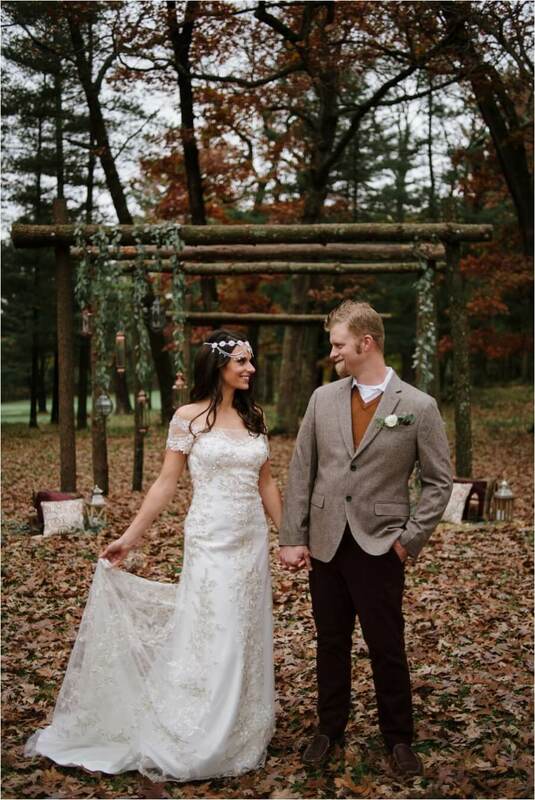 These arches and the fall colors – LOVE! 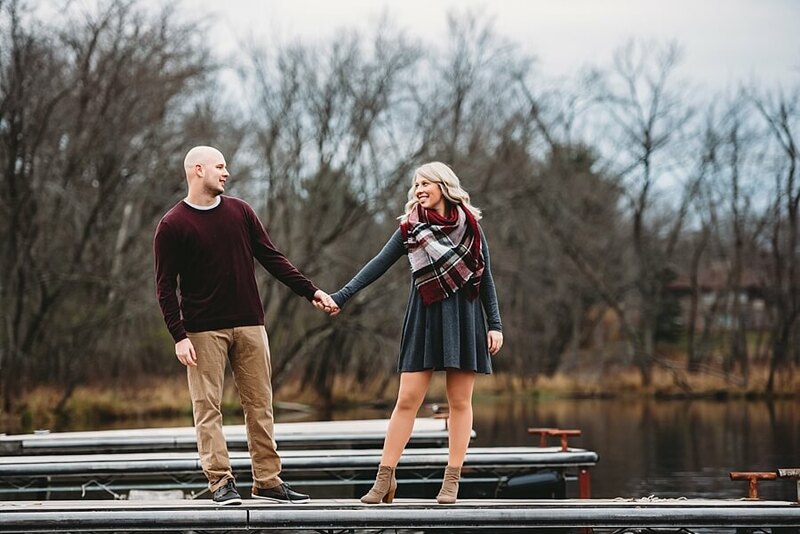 Just doing a little dance!! 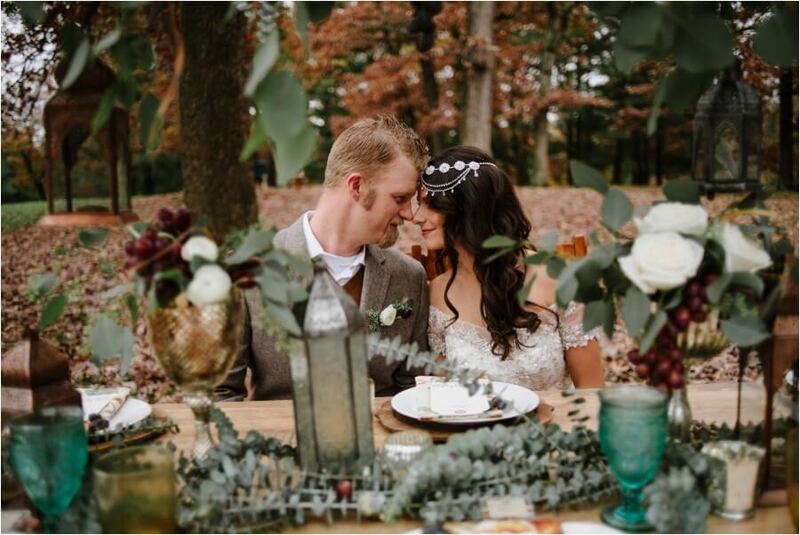 These two were all about it! 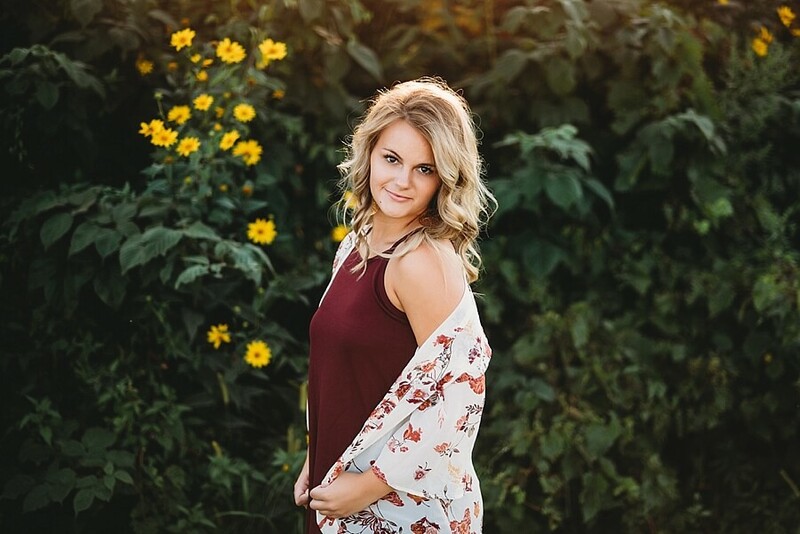 You are beyond stunning Jamie!